In this intermediate metalsmithing workshop, you’ll learn how to make a flared sterling silver ring with an independently spinning outer ring. You can add lots of different textures to both the inner and outer ring, and use mixed metals as well. There are lots of ways to make this ring uniquely yours. 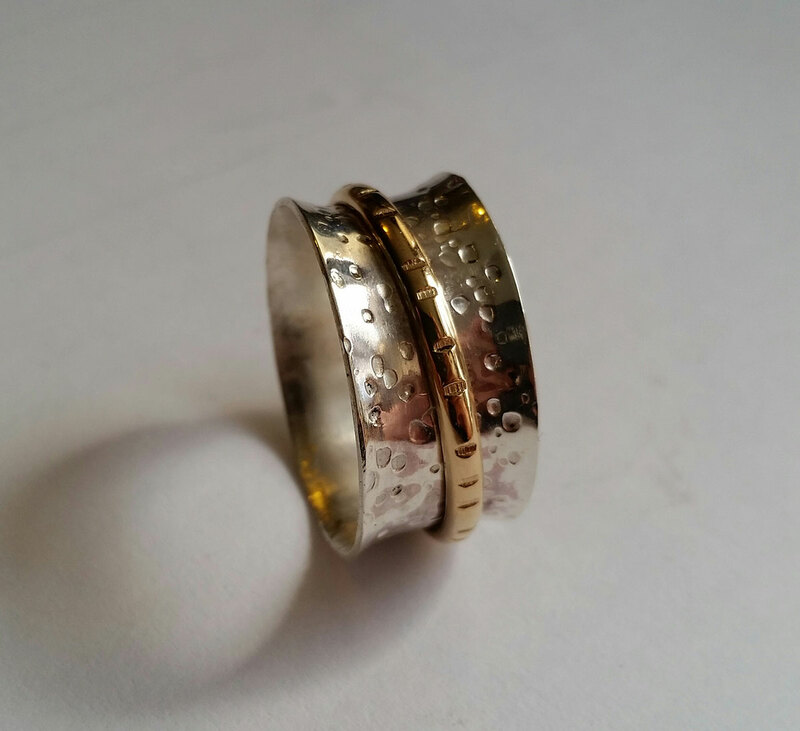 Bring: If making a ring for someone else, you’ll need to know their ring size! Otherwise, if the ring will be yours, I have sizers.